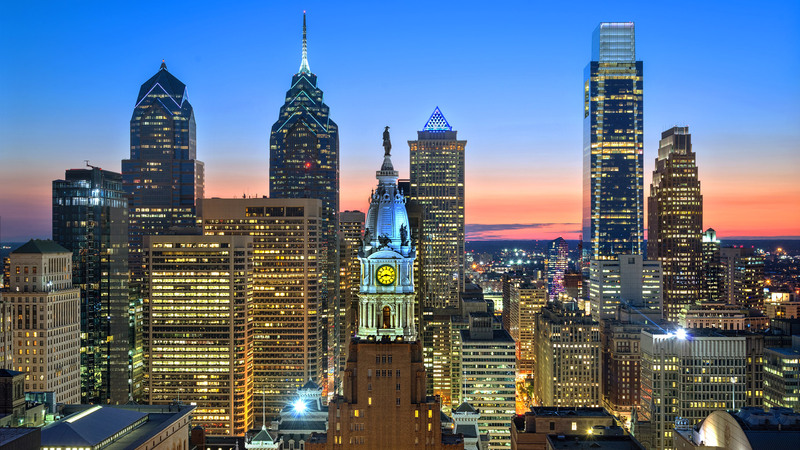 So you’re coming to Philadelphia the weekend of January 25th, 2019 for Traffic Think Tank LIVE. While you’re here you’ll want to check out some of the cool spots this amazing city has to offer; history, museums, and food. Here’s my personal list of recommended spots for each. Independence Hall is a National Park located right on Market Street in Old City. You’ll need tickets to get inside the park buildings, but the park itself is open air and can be walked through for free. This is where the Liberty Bell is located. A chilling experience and the former home of Al Capone (you can visit his cell). The largest collection of impressionist paintings in the world stolen from the incredible collector Alfred Barnes. For more info, check out this guide to Philly museums. Considered the best steakhouse in Philadelphia, perched on the corner of Rittenhouse Square, Barclay’s in an incredible experience developed by Philly’s most famous restauranteur, Steven Starr. If you’re not able to get in at Barclay Prime, consider a short walk down Walnut Street to Butcher & Singer (another Starr restaurant). Spare yourself from the touristy crap cheesesteaks at Pat’s and Gino’s and instead get an actually delicious Philly Cheesesteak from Joe’s. Other places to consider are Jim’s, Larry’s, Steve’s, or Tony Luke’s. A charming Japanese BYO located in the Northern Liberties area (my neighborhood), just across from In Between The Lines. A baller sandwich shop right on Girard Avenue near Fishtown. A creation from famous Philly Chef Marc Vetri. French style diner right on the corner of Rittenhouse Square. Incredible quiche and seafood. Also, a Steven Starr. One of Starr’s takes on Mexican food. Get the guac. Yet another Steven Starr, Continental’s midtown location features 3 floors of wacky decorating, hanging seats, incredible food, and a really cool rooftop bar with a fireplace. My favorite taco’s in all of Philly, this divey taqueria is located in the heart of Fishtown. If you sneak in the side entrance there’s a mural made entirely out of piece of glass; over 70,000 of them I believe. It’s also fun to annoy the security guards by playing the piano located in the nearly 12 story atrium in the center of the building. Located inside the Liberty II building (one of the 2 big pointy skyscrapers in Philly) R2L is decent food with a breathtaking view of the city. Sitting at the top of the Park Hyatt Hotel located just across the street from the DoubleTree (where TTTLive19 will be happening), XIX features a swanky ballroom lounge, mid-building bar nestled around a grand old fireplace, and then through a glass wine cellar a formal dining room. Fun fact; this is where my wedding reception was held. By day, a small upscale coffee shop. 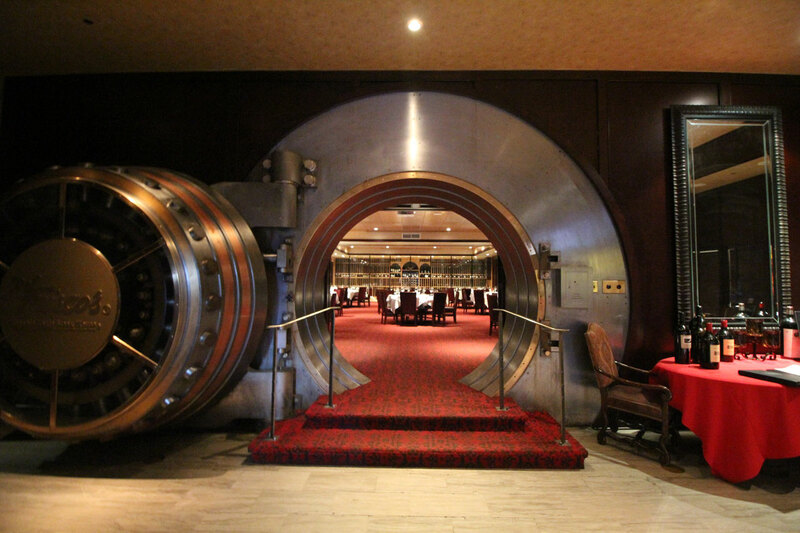 By night, a speakeasy style underground sushi restaurant. A sports bar and nightclub/restaurant that’s.. kind of boring, but hang out and grab a dink or 2 at the bar, tip well and then ask for the password. At that point, walk up to the hostess stand and pick up the phone on the wall. It will ring a few times and then someone will pick up, immediately say the password and DON’T HANG UP. Pull on the left side of the bookcase which will swing out like a door, once opened you can hang up. The moment you hang up the latch on the door re-locks. Head downstairs to a private bar with separate VIP seating and a dance area. An outside bar open year-round, hidden on 13th Street. To get in look for the red neon “Graffiti Bar” sign next to Sampan, then make your way down the alley and turn right. Located in midtown village, this swank bar is open late serving awesome drunk food snacks like burgers. There is no street entrance to get into Kontrol, and instead you’ll need to enter through a passageway that connects the U-Bahn properties with the Tradesman’s Trust building next door; Kontrol lives between the other 2 establishments. One of my all time favorite bars (not just in Philly); but it’s tiny and there’s very limited seating so depending on what time you get there you may have to wait. The trick is to make this your first stop for the evening and get there early. Located in Philly’s Chinatown, and considered one of the top craft cocktail bars in the United States, make sure you’re a bit dressed up to get in. To get in look for the door with the black gate and stainless steel buzzer at 1029 Race Street. Lauded as having the best old fashioned in the city, you’ll also want to get your hands on their complimentary spicy pistachios. Make sure you say hi to Jesse (the red haired + red bearded bar tender likely spinning up your craft cocktails). Located in the lobby of the Ritz Carlton, which sits right next to city hall and is built into the former turn of the century Mellon Bank.. this is a location not to miss. Also the sushi bar is pretty impressive. I saved the best for last. Kelly Drive may be my favorite part of Philadelphia. It’s an 8.4 mile loop consisting of Kelley Drive and West River Drive that connects nearby Philadelphia suburb East Falls with the art museum, wrapping down both sides of the Schuylkill River. A favorite place to bike, run or even just stroll as you pass under rock bridges, past mature trees and the famous boathouse row. Or if your more of a karaoke person, here’s a helpful guide to karaoke in Philly.